EXCLUSIVE! 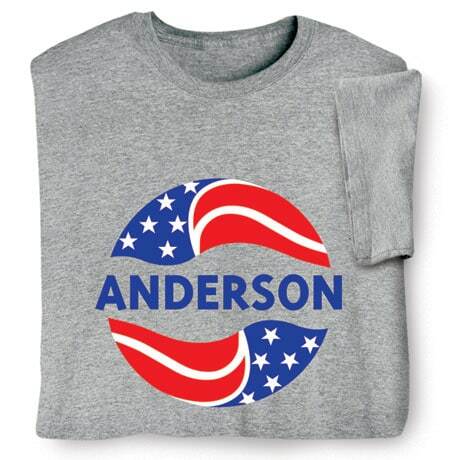 Now you can run for office in this personalized election shirt. 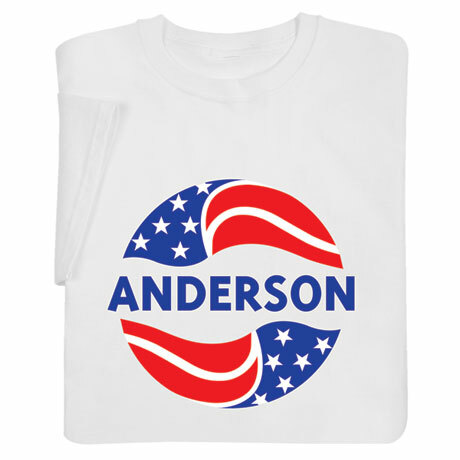 Customize any name in the red, white, and blue election logo and get laughs as you proudly campaign for yourself or a custom candidate. T-shirts are 99% cotton/1% poly, sweatshirts are a 50-50 cotton/poly blend. 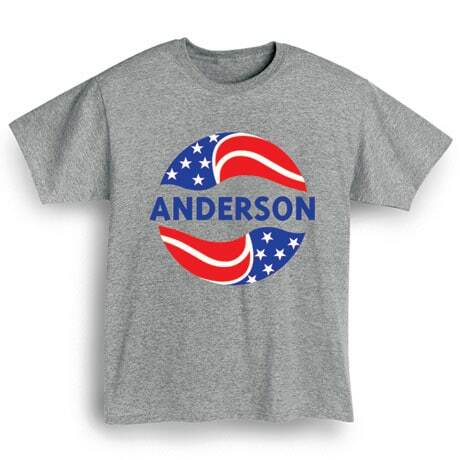 Imported shirts. 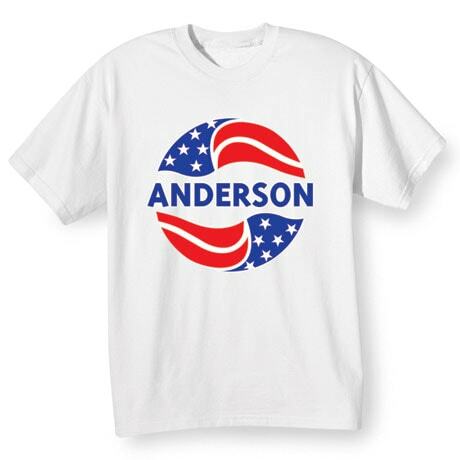 Printing in the USA. Machine wash. S-4XL. Sport gray and white colors.